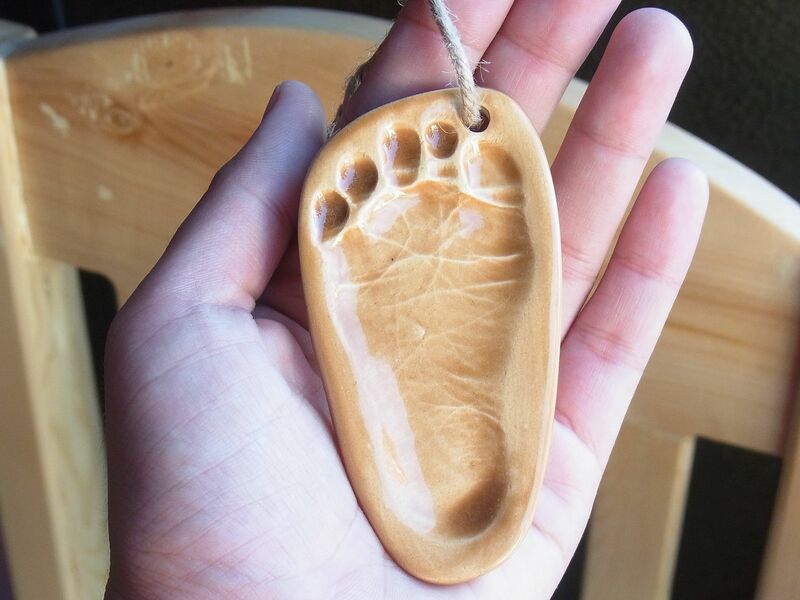 When Zeeka was 17 months old, I had a ceramic impression of her little hands and feet made by this very talented lady. 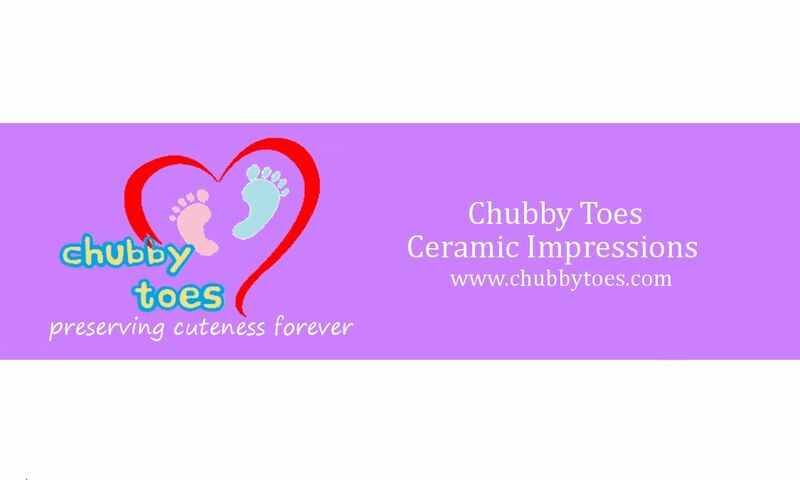 You can check out my review here: http://mommyginger.com/2014/10/chubby-toes-ceramic-impressions.html Today, I’m happy to share with you the mompreneur story of the Jennelyn Faiwas, the owner of Chubby Toes Ceramic Impressions. 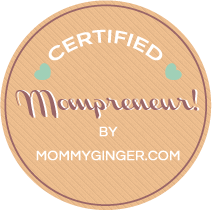 I am a licensed financial advisor, a breastfeeding peer counselor and a full time mompreneur. My strong advocacy is for breastfeeding. I believe that it is every mothers’ and babies’ right to breastfeed. Mothers should be given all the information about it and the dangers of artificial feeding. While the system protects , promotes and supports this right. I also love to babywear, cloth diaper and co-sleep with my son. My son is 2 years old. I’m a single mom. And that is why my world revolves around my son. Before I got pregnant, I’m contented with my life as an employee in an IT company. But things really will change when you have other priorities. Ginger: Hi Jen! Can you tell us more about your business? 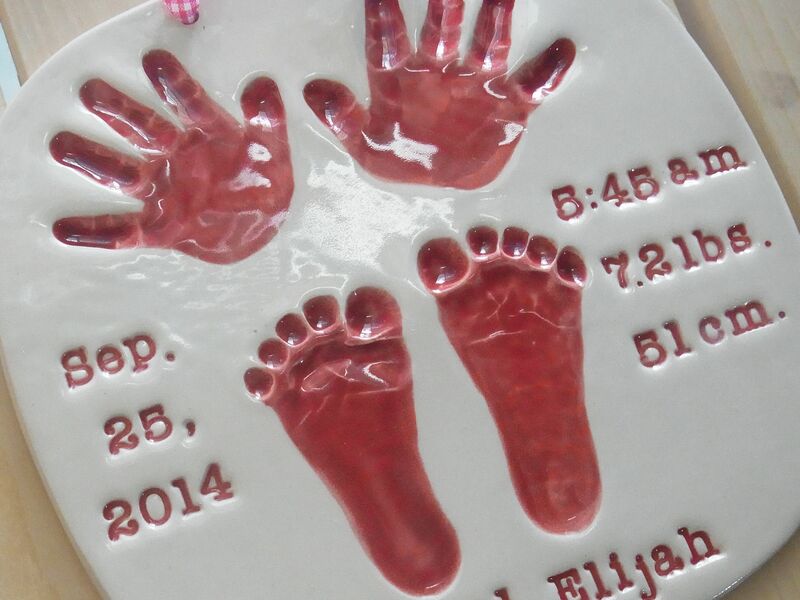 Jen: Chubby Toes Ceramic Impressions specializes in creating a unique keepsakes of our loved ones, especially the very cute babies. Newborn babies are my specialty. Because they just grow so fast. They start to be this teeny weeny creatures with tiny hands and feet then it feels like in an instant they will become this running, talking small people. 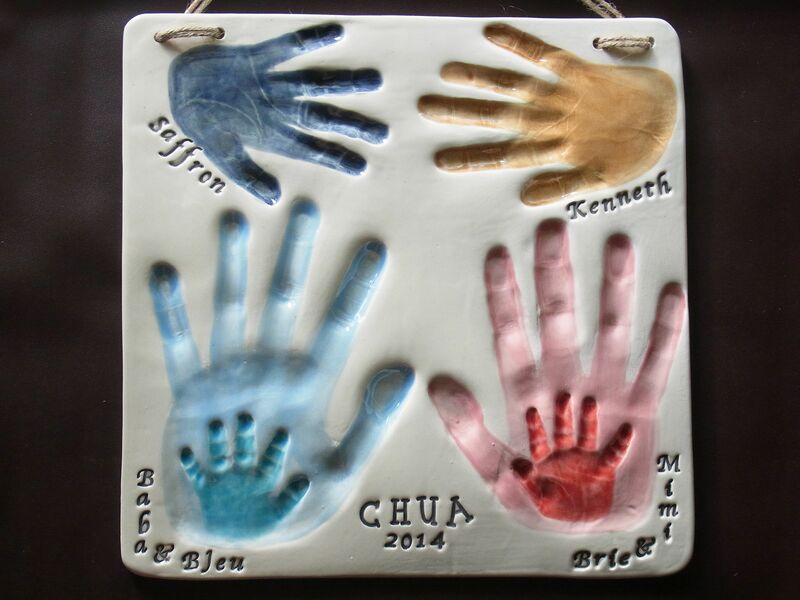 So Chubby Toes captures this moment on clay and transform it to ceramics. I do children of any age as well, since they will just grow and grow but we can still capture their little hands and feet sizes now. I also do any member of the family, including pets! I started last year and it started growing. I have an FB account dedicated solely for my business. Recently, I also set-up a website that showcases my work since I started in 2014. Ginger: Interesting and such a unique idea. Who do you plan to tap? Jen: The primary market for my business is families with children or pets. 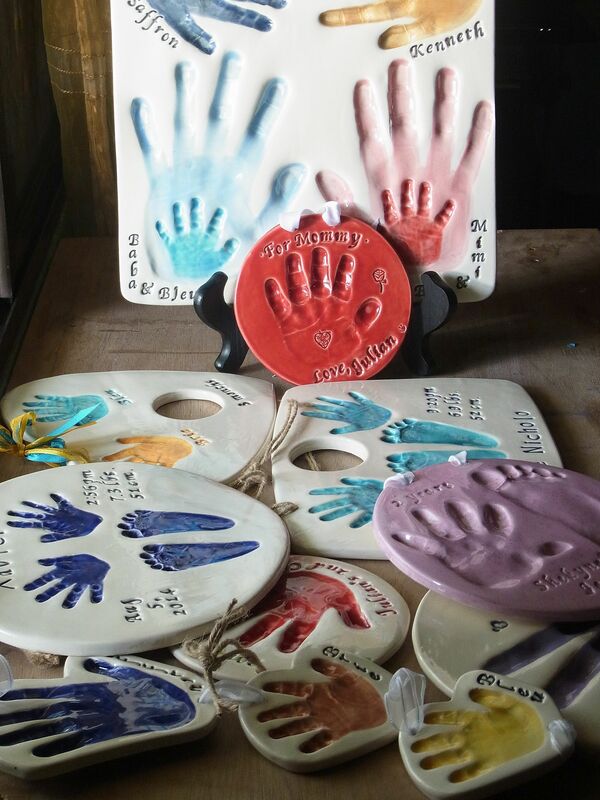 Now, I have a vision of expanding my business as notable and special keepsakes. I am experimenting on my impressions so they can be used on occasions like weddings, debuts, birthdays, wedding, baptism etc. Jen: Since giving birth to my son, I was always looking for ways to capture milestones and memories of his “littleness”. I have a monthly photo of him. I (tried to) journal his every milestone. So this included getting his hand and foot prints regularly. I have used ink and those DIY salt dough and plaster of paris. I used to be so crazy about it. 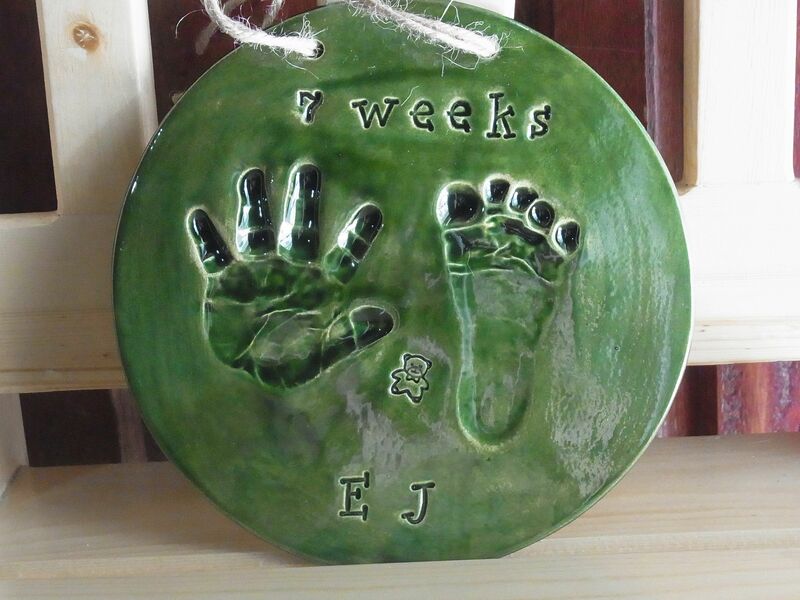 Anyway, I used to always encounter this ceramic impressions thing during my search for ways to capture (and display) my son’s keepsakes. I know that it’s not available here in the Philippines, but I so wanted it! I salivate just looking at all those beautiful ceramic plates, but all out of reach for me. So after months of constantly coming across it, I just thought why not start it here? How awesome would that be! So I started to ask around and research about it some more. Then I met my mentor/trainer and things started rolling. I purchased a complete set of training materials, ordered my kiln. And so Chubby Toes is born. Jen: It has been said before, but you really need to find a business that you are passionate about. We can all start a business, but sustaining it is another thing. And I think that’s what our passion does, it fuels us to continue and breeze through whatever we may encounter along the way. I sincerely believe that, love what you’re doing and success will follow. I think another thing that made many Mompreneurs successful, is their motivation to always be there for their families. Being at home is a constant reminder of that. I clearly remember my first customer, she contacted me through my facebook page. With full faith she asked to have her son’s impressions taken. 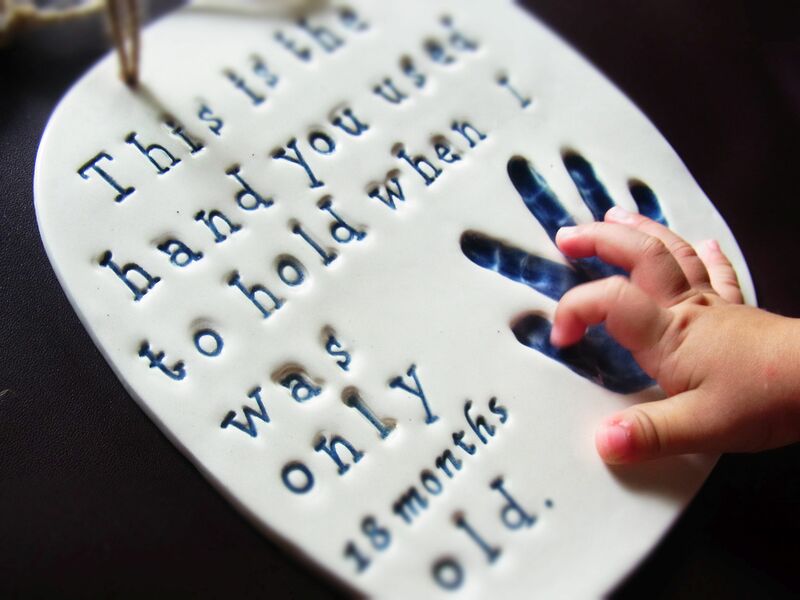 Ok, with what I do, sometimes clients can’t really appreciate my beautiful product, at least on that first meeting because they will only see the plain-looking gray clay I use for taking their baby’s impressions. Jen: Find that something that will light your inner fire. It is sometimes easy to jump on the bandwagon but always ask yourself if this is really what you want to do. You have to have a clear vision of why you do what you do. And if the going gets tough, you will only have that fire to hold on to. Ginger: Thank you Jen for such inspiring words. For those who want to contact Jen, the information of her company is seen below. Thank you again for reading this inspiring mompreneur story! In the past few runs that we have, I have come across expectant couples who are really adamant in learning more about parenting and about safely giving birth and raising a child. As there is really no certification on being a great parent, I admire these couples who really go out of their way to learn. I truly believe, just like in business or even in professional careers, people who have that insatiable thirst for knowledge and people who are not close minded are the ones who succeed. For parents who constantly strive to be better parents and who constantly strive to know more by reading books, surfing the web, attending workshops, talking to other parents, etc., CHEERS! This giveaway is for you! We are giving away 5 seats to 5 lucky moms or dads who would want to attend the What to Know Before Giving Birth Workshop on March 28, 2015 for FREE! Okay, here are the mechanics! – This giveaway will run from today to March 24, 2015 (12 Noon). 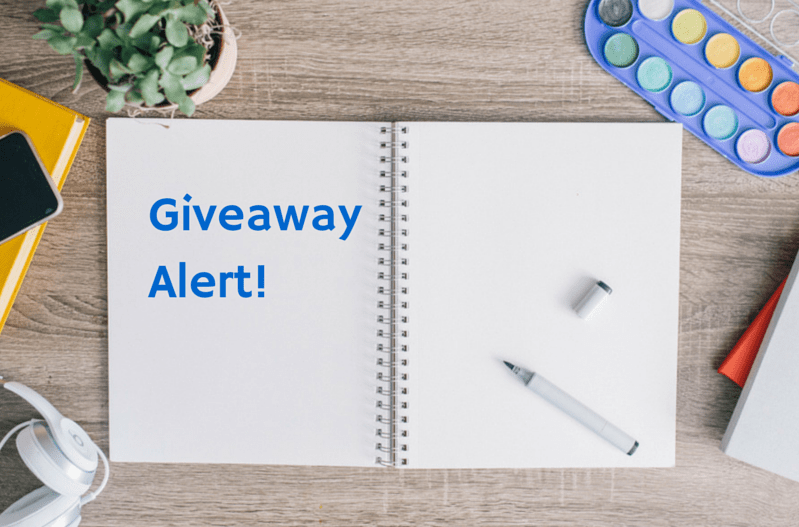 – All you need to do is post the link of this giveaway in your Facebook wall, Twitter feed or Instagram account (Check that the settings is open to the public to see). 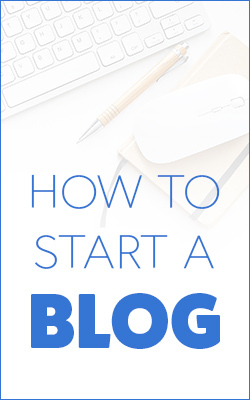 – Then comment below with your full name, your email address and the link to your post. It’s as easy as that! I will announce the winners on Tuesday, March 24! Good luck and hope to see you in one of the Manila Workshops events. I think that I need not be worried. My daughter seems to love yoga and she seems to be enjoying it. Everytime she watches me practice in the morning, she goes into her own version of her downward dog (much like just bending over and touching the floor). I love that she’s so enthusiastic about it at such an early age. I have always believed that yoga is beneficial and I’m happy that it will be a part of my daughter’s life early on. It’s so nice to see that there are a lot of kids yoga classes being offered already. In my teacher training classes with Onelife, I was fortunate enough to be batchmates with one super-duper passionate kids / prenatal yoga teacher and doctor (by profession), Dr. Raissa Paje. She is the Program Director and Faculty Head of Happy Heart Kids Yoga. Happy Heart Kids Yoga aims to promote health and wellness in children. Their mission is to share yoga with the children, both the typical kids and those with special needs, and make it an enjoyable way for them to imbibe a healthy lifestyle through movement and mindfulness, so that young as they are, they can become happy, healthy and productive in every aspect of their lives. 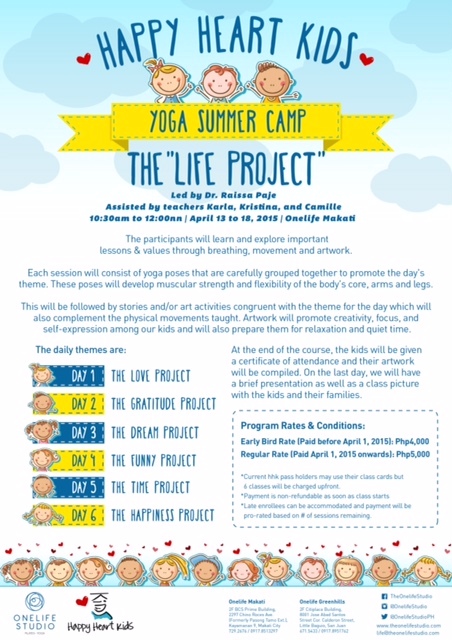 This summer, Happy Heart Kids is introducing a Yoga Summer Camp called the LIFE PROJECT. 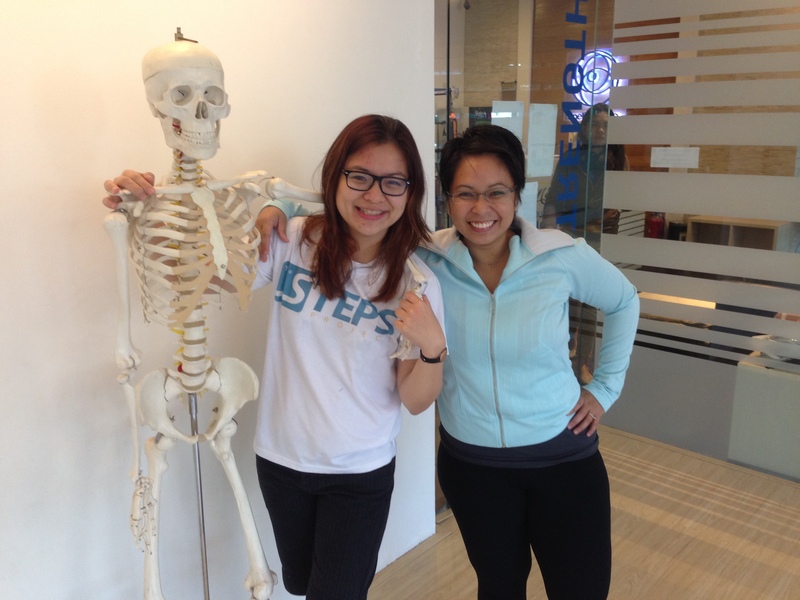 It will be led by my friend, Dr. Raissa and assisted by Teaches Karla, Kristina and Camille. It will run from April 13-18, 2015 at Onelife Makati from 10:30 AM to 12:00 NN. For 6 days, your little one will do a series of yoga poses and activities that are in line with the theme. Ooooh, check out the different themes! I have heard and seen Raissa teach and believe me, she is really great at teaching kids! I’m sure that your kids will have a fabulous time learning and interacting with the other students. The program rates are at Php 5000 but if you pay before April 1, 2015, the early bird rate is at Php 4000. If you want to know more about this Happy Heart Kids Yoga Summer Camp, please visit the Happy Heart Kids Facebook page at: https://www.facebook.com/HappyHeartKids or visit their website at http://happyheartkids.com/. Calling all expecting parents! Manila Workshops and Best for Families is coming up with two great parenting workshops that you can attend. 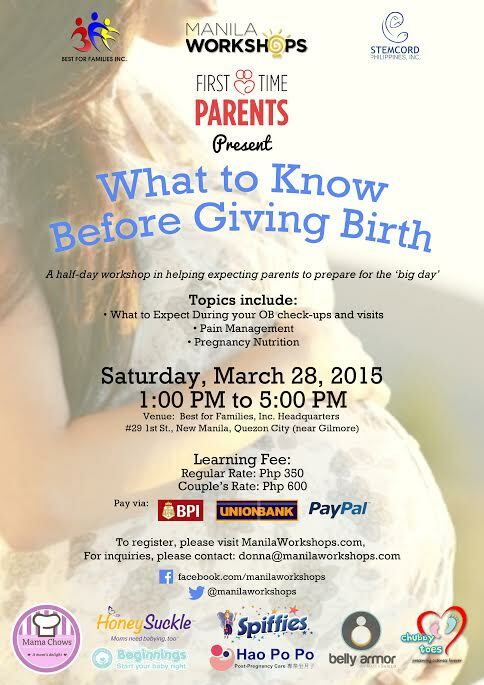 What To Know Before Giving Birth is a half-day workshop that aims to help parents prepare for your big day. First time parents and experienced ones who need a quick refresher can join this workshop! Dra. Patricia Malay Kho studied Medicine and underwent Residency Training in UP College of Medicine-Philippine General Hospital. She is an Obstetrician Gynecologist with Subspecialty Training in OB Gyne Infectious Diseases. She is also an International Board-Certified Lactation Consultant. She is affiliated with Makati Medical Center and St Luke’s Global. She has two children, and both were breastfed. Ms. Cecile Bayaga is a registered nutritionist-dietitian and a full-time faculty at the College of Home Economics, University of the Philippines-Diliman. She has been teaching Principles of Nutrition, Nutrition for the Lifecycle, and Medical Nutrition Therapy for the past 12 years. She has published scientific articles on glycemic index, essential fatty acids for brain development, and clinical nutrition. In 2005, the Nutritionists-Dietitians’ Association of the Philippines awarded her as The Most Promising Nutritionist-Dietitian. She is happily married for the 9 years and a mother to their son, Gabby. After a baby is born, parents are faced with challenges. They doubt if they are indeed capable of handling a newborn child. They ask themselves “How can we understand his/her needs? 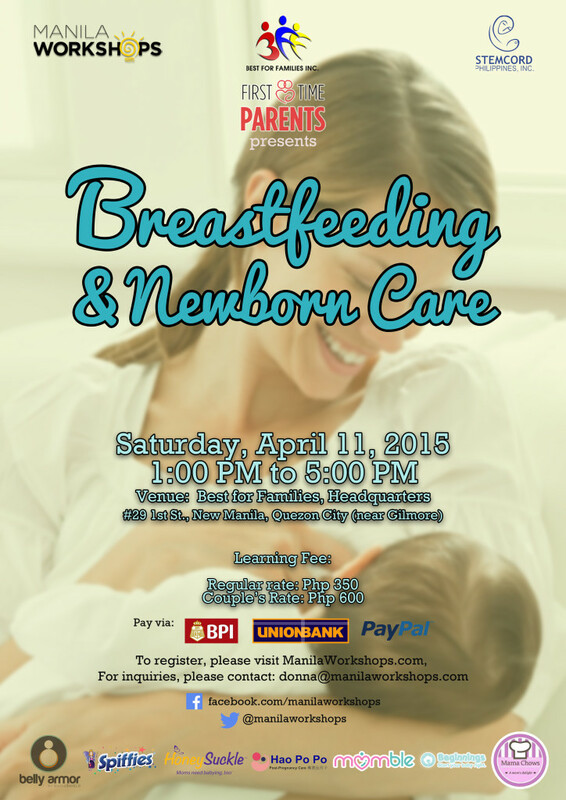 Are we capable of breastfeeding?” On April 11, 2015, Manila Workshops, in partnership with Best For Families, is holding a lecture and demonstration about breastfeeding and newborn care. 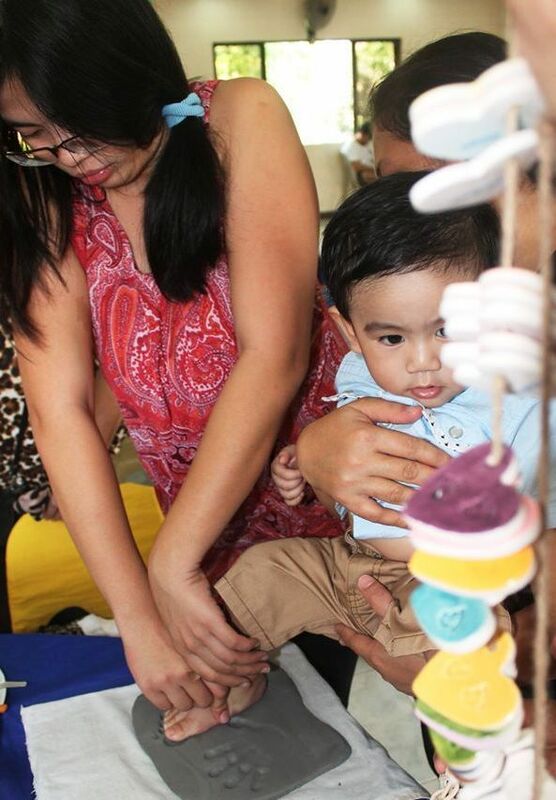 Ms. Joyce Martinez is a certified lactation counselor, and is the in-house lactation counselor of Best for Families Inc. She is a registered nurse who also served as a Lactation Manager at St. Lukes Medical Center, Global City. She earned her Nursing Degree from the Pamantasan ng Lungsod ng Maynila, and followed up with a Master of Science in Nursing Degree at UERMMMC Graduate School. She also conducts presentations and academic talks on the ABC’s of Lactation Management for Nurses, as well as Breastfeeding Classes for Pregnant and Breastfeeding Mothers. A breastfeeding advocate, she provides lactation coaching and counseling, not just for breastfeeding and pregnant mothers, but also for their families, while actively organizing and promoting national breastfeeding campaigns. Dr. Jamie Isip-Cumpas received a medical degree from the University of Santo Tomas, finished residency in Pediatrics in The Medical City and also practices as a lactation consultant and is a member of the Breastfeeding Committee of the Philippine Pediatric Society. She is also a facilitator in Educhild Philippines which is a non-profit organization that helps parents in their role as primary educators of their children; mother of 3 children ages 6, 4 and 2. This event is also co-sponsored by Stemcord. We hope to see you in these parenting workshops! Please spread the word! My husband always complains that we have too many pillows on our bed. I don’t think so. We just have eight and I don’t think that it’s too much. Do you? 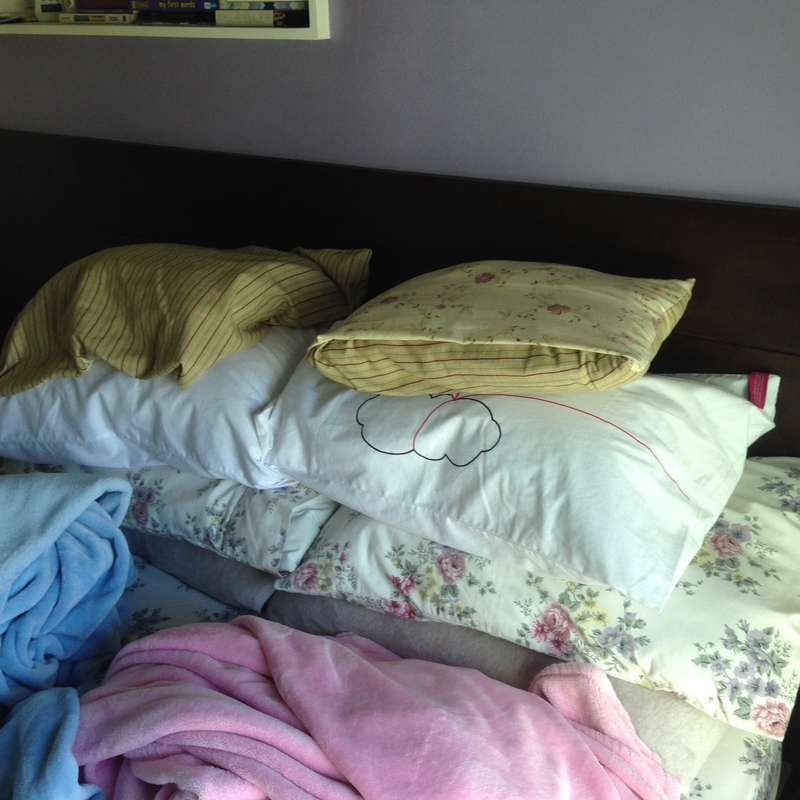 I just think that you can never have too many pillows. Haha! 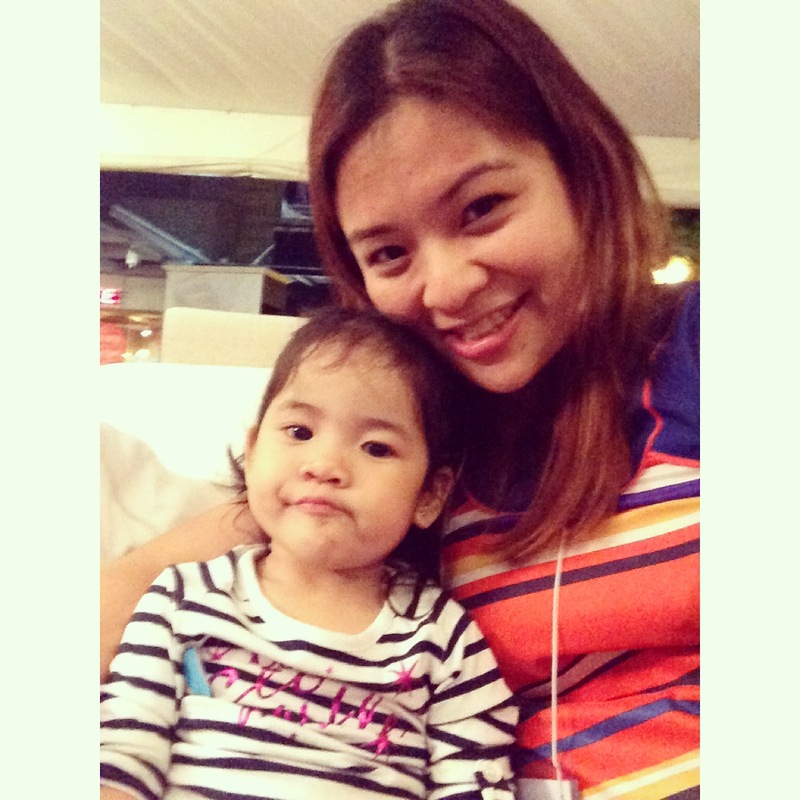 My daughter and I recently attended the Tempur event at Bonifacio Global City. They were launching their new technology called the Tempur Breeze. 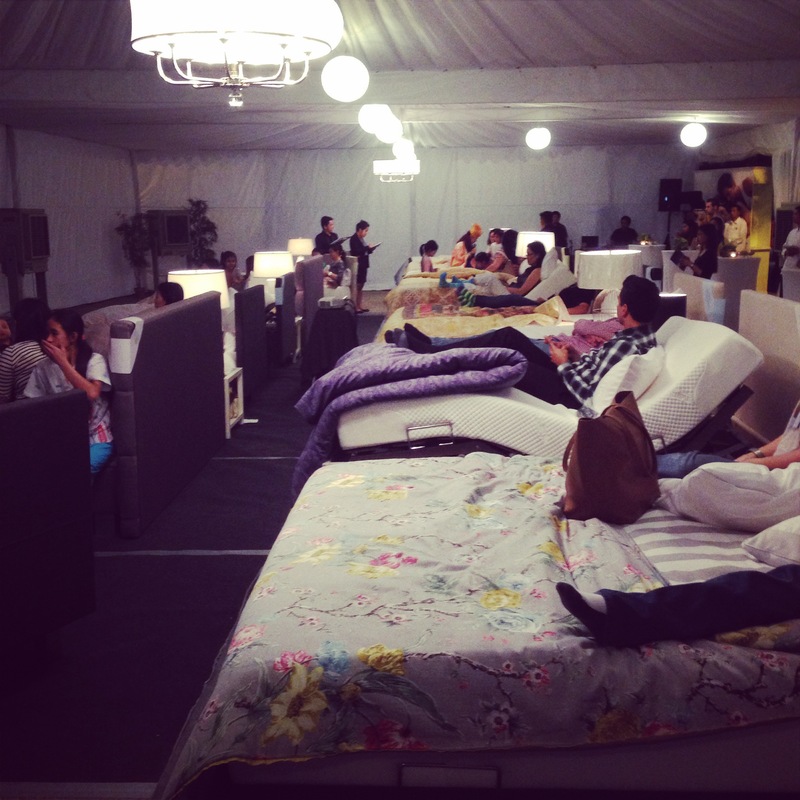 The event was where we could watch a movie while enjoying the comfort of a Tempur Mattress. The set-up for the event. 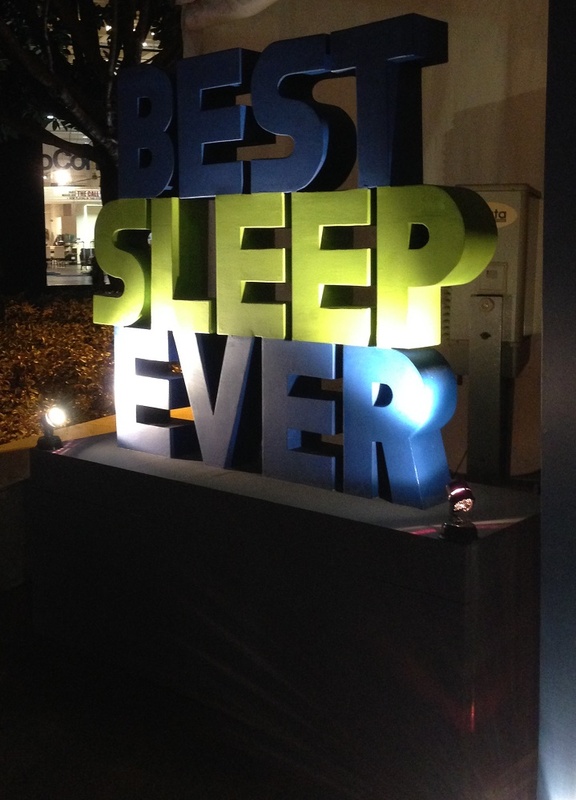 This huge sign at the entrance of the event is so apt for the Tempur mattress. If you have never ever tried one, you will really feel the difference. In what way, you may ask? Well, most of those who have tried and have purchased these Tempur Mattresses have attested to having really long and comfortable sleep with less tossing and turning. For those, like me, who have tried, I can attest to the fact that once you have sat or laid on the Tempur mattress, you will immediately feel relaxed. What’s good about these Tempur mattresses also is that it provides unique body support with material that conforms to the shape of your body. There are three types of Tempur mattresses: Original that gives a supportive, firmer feel; the Cloud that gives a supportive, softer feel and the Sensation that is for support and easy movement. 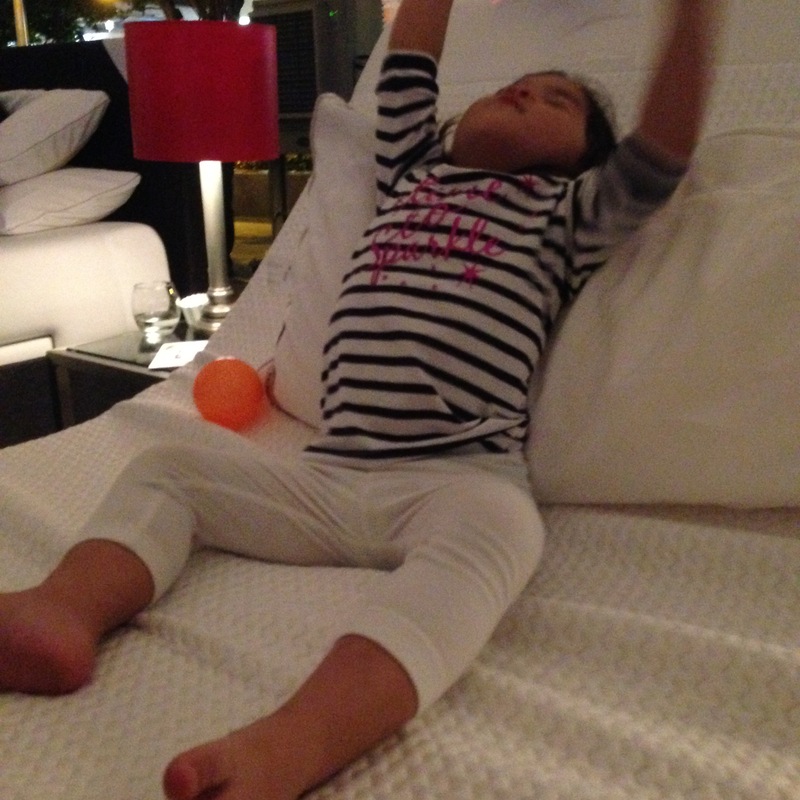 The Sensation Mattress is what me and my daughter laid on during the event. 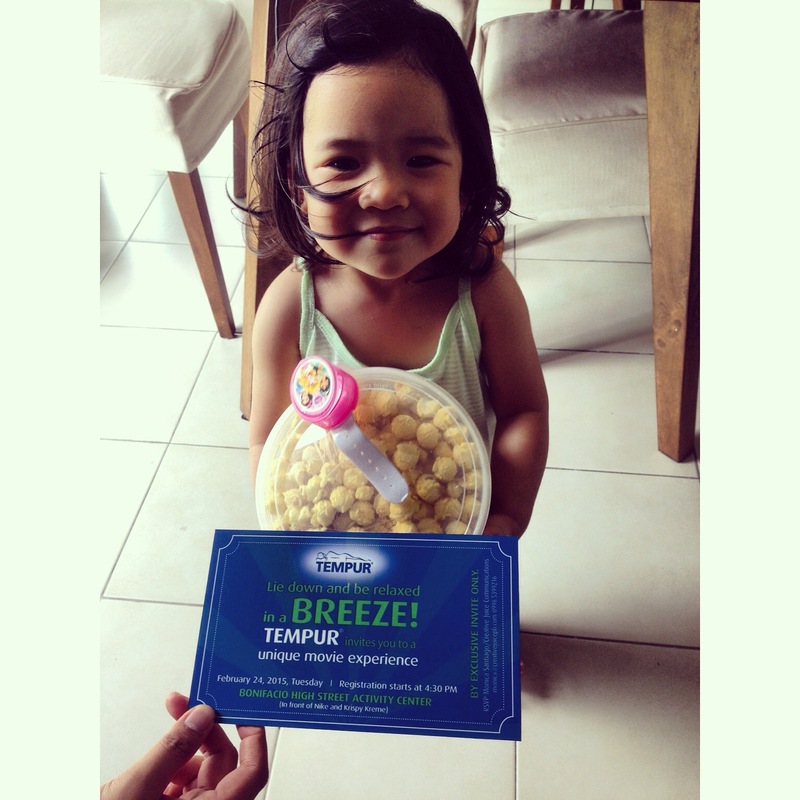 Recently, Tempur launched a new technology called Tempur Breeze for comfort and freshness. Why is freshness in the description? This is because Tempur Breeze is made out of a new proprietary Tempur Climate material and a unique cover to wick away excess moisture. You know that moisture gives us that icky feeling and with this new technology, we don’t have to feel uncomfortable that way anymore. The Breeze models are available in Original, Sensation and Cloud collection in 27cm heights. 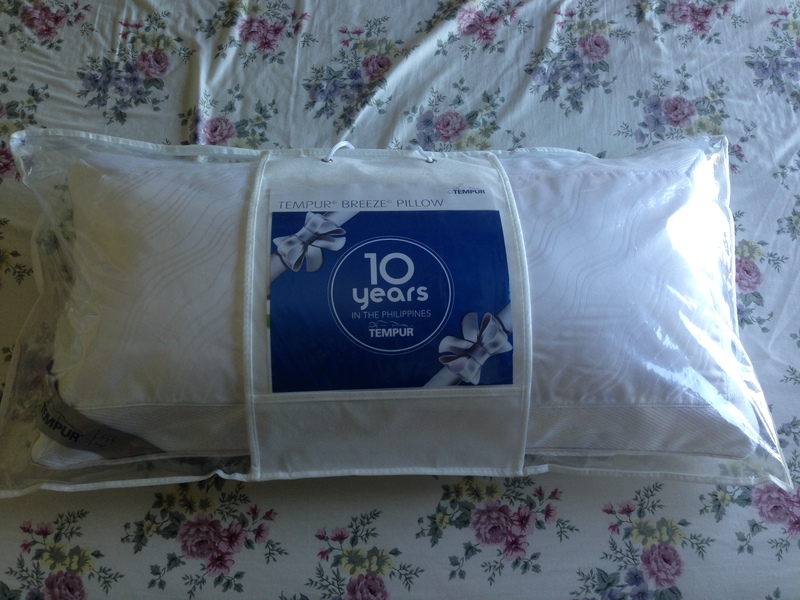 We were lucky enough to get this new Tempur Breeze Pillow. 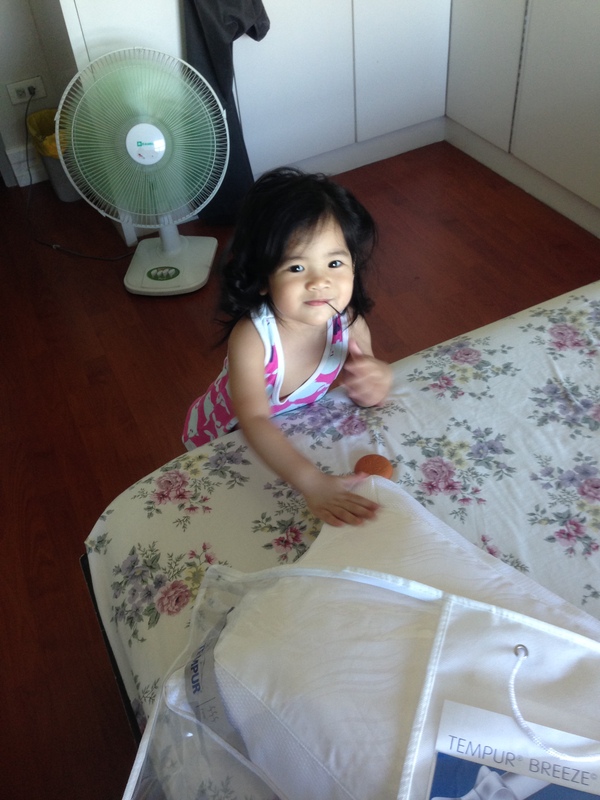 See how much my daughter loves squeezing and touching it! The new Tempur Breeze Pillow is also made from the same material as the mattresses (Tempur Climate Material or TCM). It has an open structured 3D sleeve and vented sides to help manage the micro-climate around your head and neck, taking away moisture. I can’t wait to use my new pillow. I’m grateful that our 9th pillow is a Tempur Breeze.